Whilst Markenfield is not doing anything specifically to mark Armed Forces Day, a number of blood-red poppies have appeared in the fields along the drive in recent days; maybe a tribute from the Hall to the Farm workers who were uprooted from the peaceful lands here and transported to France to fight in the two World Wars - a world away from quiet rural North Yorkshire. Christopher Scott Kemp is just one example of such a young man - a "Farm Servant" he was enlisted in to the West Yorkshire Regiment and killed shortly after at the Third Battle of Ypres on 20 September 1917. The Regiment's diary holds a description of that fateful day and the moment that Kemp and his Comrades went over the top. Those that have visited Markenfield will know that one wall of the Undercroft is dominated by a large framed Estate Map. This map has pencilled upon it some of the unofficial field names that go to make up the Hall, Estate and Parish's 600 acres. 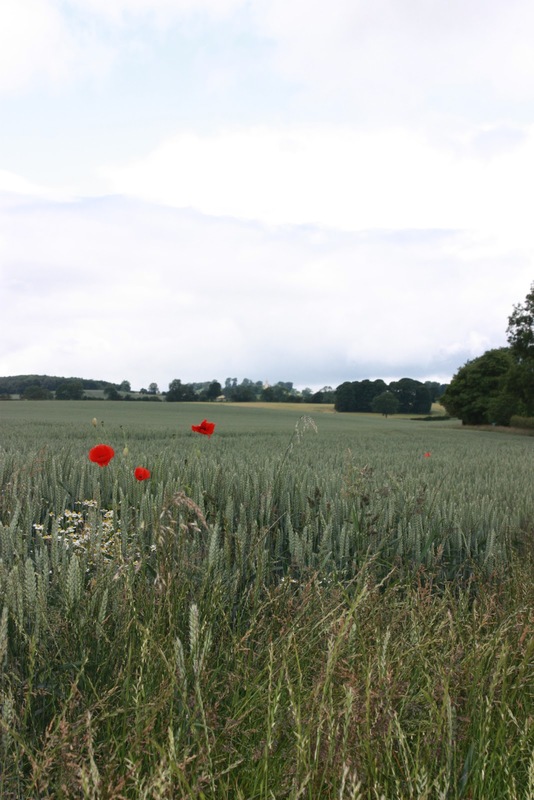 They include the One Acre Paddock (where visitors now park during Open Days), the Thistley Field and The Trenches. 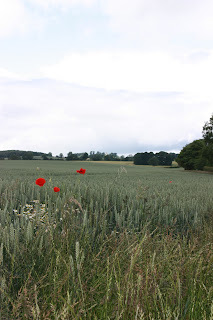 The Trenches may seem a strange name for a farm field, but it was in this field (and two others nearby) that soldiers from Ripon came to practice the art of digging trenches. 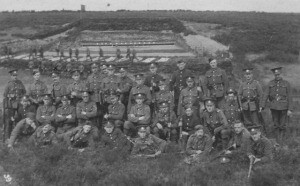 The photograph to the right was sent to us here at the Hall by a local gentleman who believed that it illustrates soldiers from Ripon on Markenfield land after just such an exercise.